Wild night-time noises from upstairs keep Mitch and Will awake. But who's making the noises and how do you broach such an intimate subject anyway? 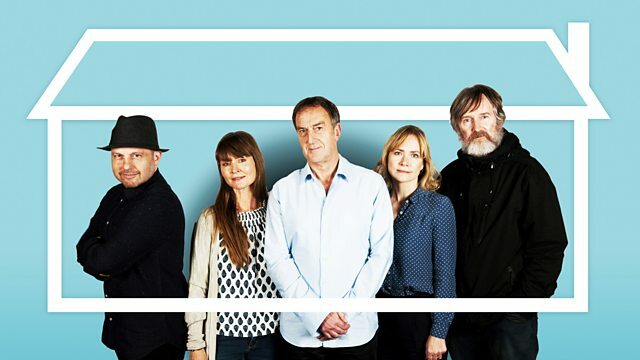 Stars Angus Deayton. In Not Listening But Hearing, Will and Mitch's sleep is disturbed by some frankly outrageous noises coming from upstairs, which leads to an extremely awkward conversation with Louisa, who is in a new relationship. Ellie has had her Miro print re-framed - she likes the new frame but is now worried it's not exactly the same print. And Morris is on jury duty which, to him, is basically a great chance to meet single women. It's a busy week all round.